Behold the glory, that is pretzel and beer battered fried ribs. I teamed up with my buddy Ron, who I volunteer with at the Annual BBQ Rodeo Cookoff. If you live in Texas and you don’t eat BBQ… you might be weird. 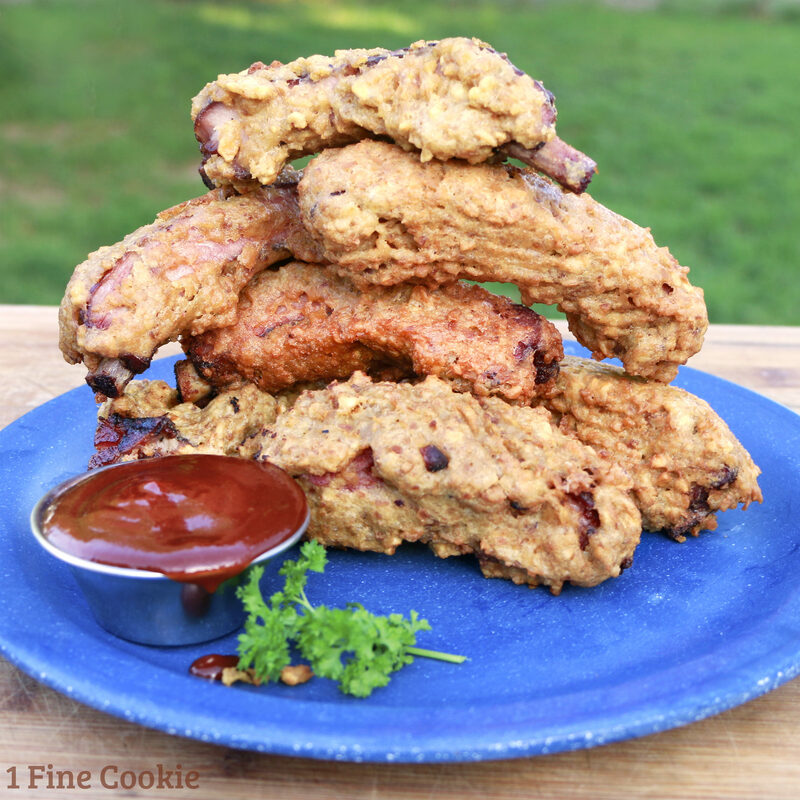 We really one-upped this standard smokey delicacy by coating it in a beer and pretzel batter. 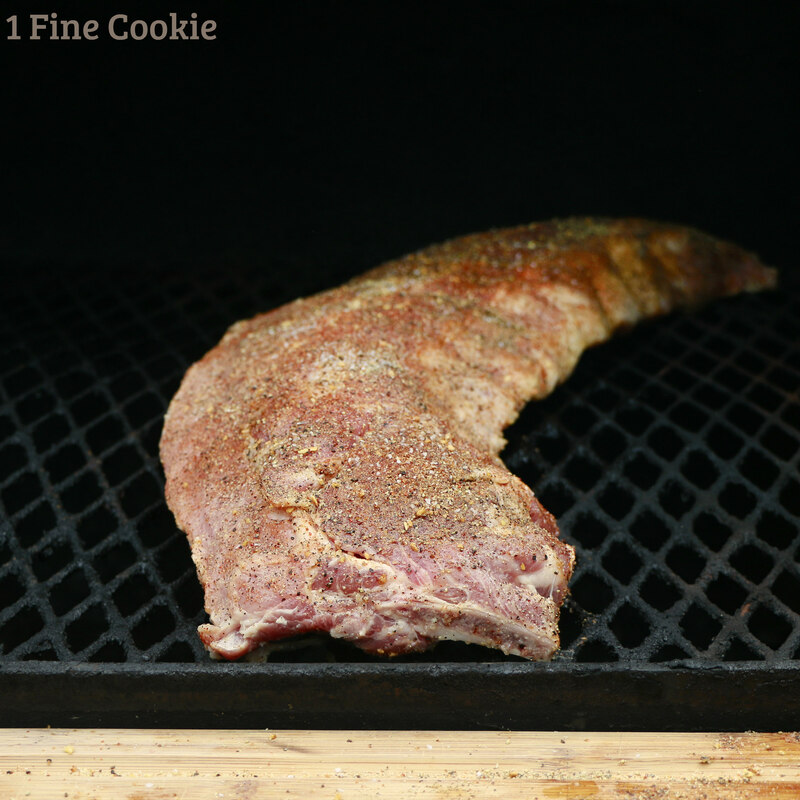 Heat up your grill or smoker or offset smoker to 350 degrees. 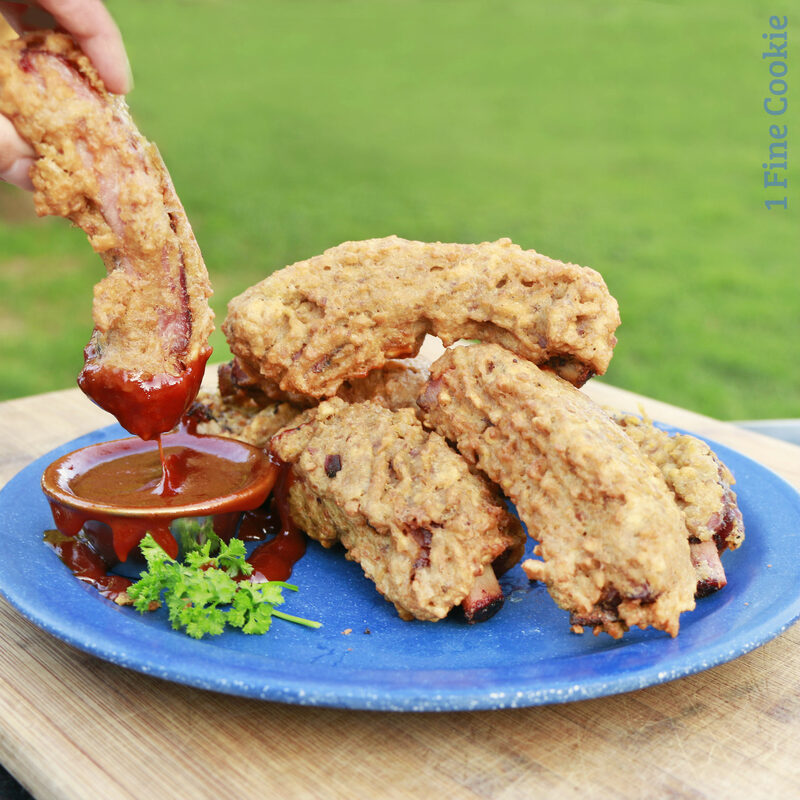 To being your pretzel and beer battered fried ribs, cut open bag of ribs on one end. 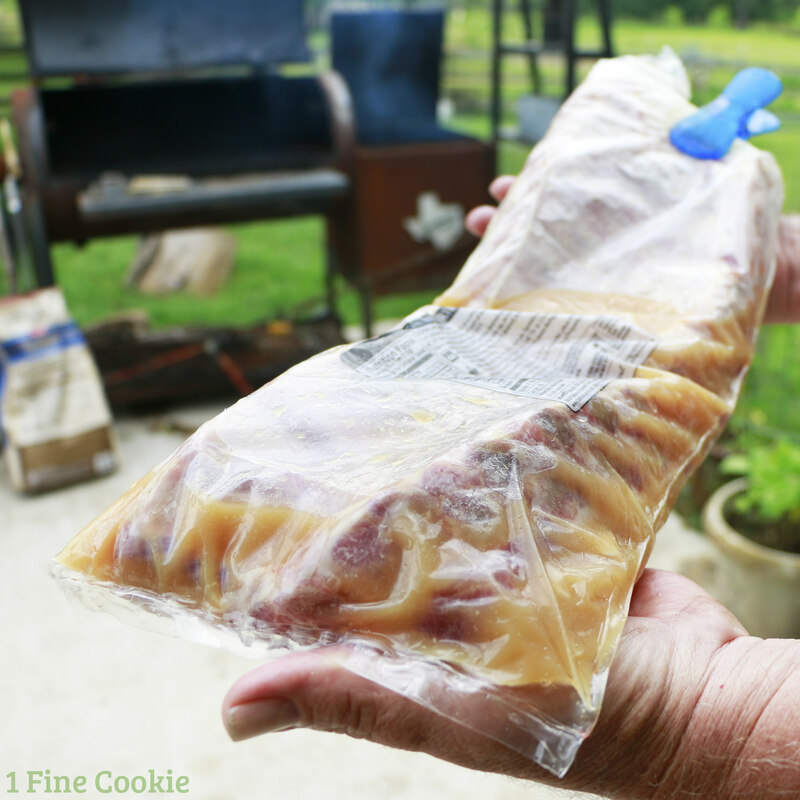 Remove rack of ribs and pour out any blood/liquid from the bag. Slice the skin/lining on the meat. Peel off the skin, rinse meat, then place back into bag. Mix a little bit of dry rub mixed into juice, then pour into bag. Clip or tape bag so juice will not pour out. Marinade for 1-3 hours. Make your glaze and spray. For the glaze: combine ingredients, heat in saucepan on low heat to simmer. This will burn off the alcohol and dissolve sugar. 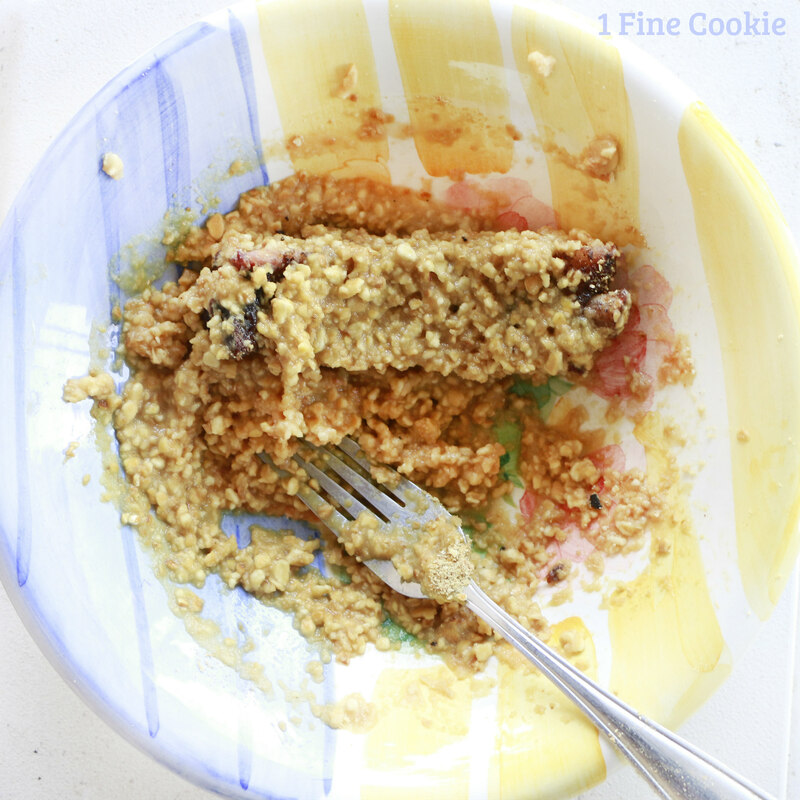 If glaze is runny, add brown sugar to thicken a little (it will thicken more once it cools). For the spray, pour apple cider vinegar and orange juice into a clean spray bottle. Remove ribs from bag and pat dry. Pour dry rub all over. Place on smoker for 15 min then lower heat to 250*. In order to lower the heat, you want to close off any air access. Air makes the heat, so your pit needs to be able to “Choke” the air off or allow for an adjustment to heat. If heat goes below 250, open up air access to heat up again. Once it’s cooked for 3 hours, brush with your glaze once about every 30-40 min. If the skin appears to be drying or cracking, spray with mixture to give it moisture. Make your pretzel beer batter. Mix together Pretzel Crisp bread crumbs, egg, and beer. The batter should be very thick. Add more Pretzel Crisps if necessary. 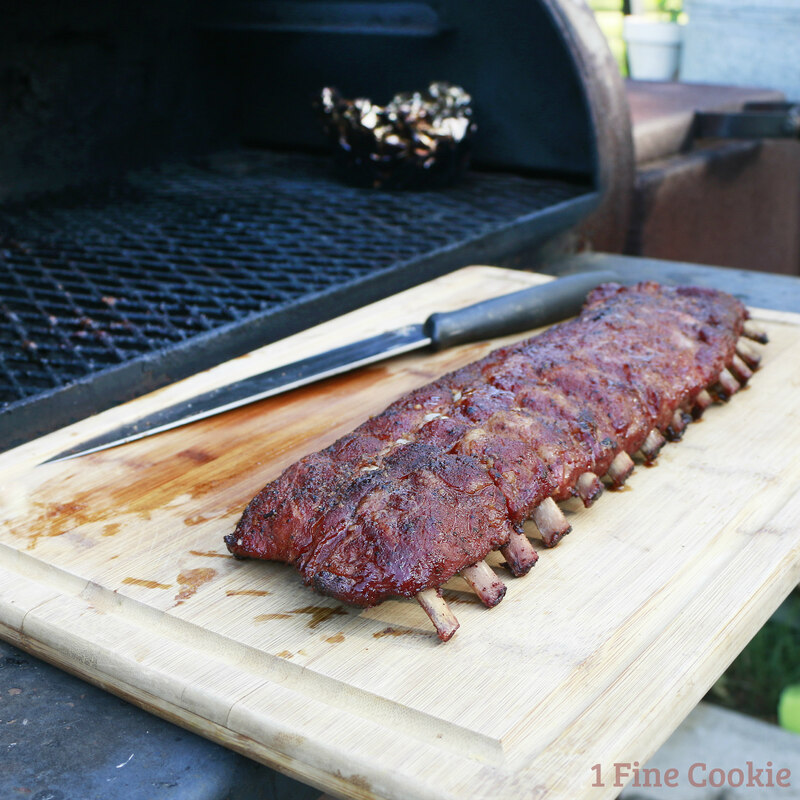 Remove ribs from heat and sit on a cutting board for about 10 minutes. 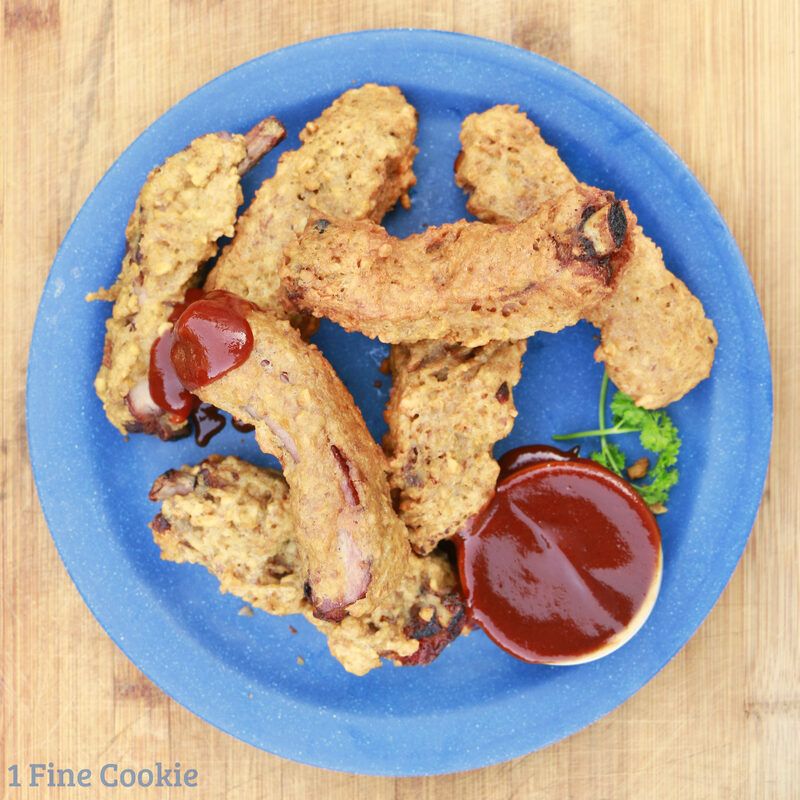 Now it’s time to make your regular ribs into pretzel AND beer battered fried ribs. Oh yes. Heat canola oil to 375 degrees. Slice ribs on cutting board, then coat rib with Pretzel Crisp batter. Use a fork to scoop batter and press against rib, as it should be too thick to drudge. Place in oil and fry, turning over, until batter is golden brown. Sprinkle with sea salt and serve with BBQ sauce. It has a crispy, slightly salty coating. Once you bite in, you meet a soft and tender meat. Make America fried again. 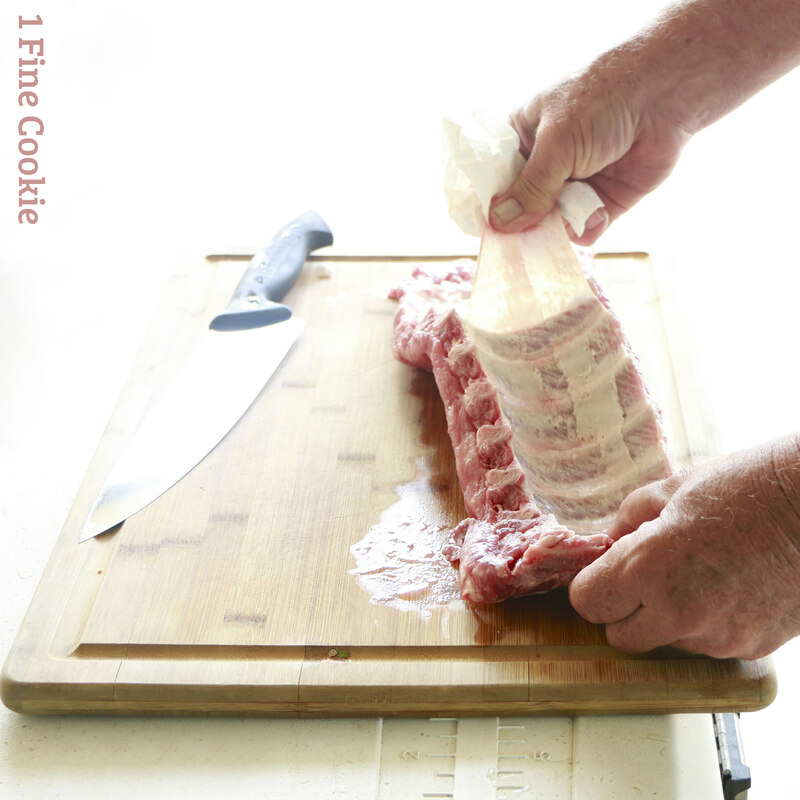 Cut open bag of ribs on one end. Remove rack of ribs and pour out any blood/liquid from the bag. Remove ribs from bag and pat dry. Pour dry rub all over. Place on smoker for 15 min then lower heat to 250*. In order to lower the heat, you want to close off any air access. Air makes the heat, so your pit needs to be able to "Choke" the air off or allow for an adjustment to heat. If heat goes below 250, open up air access to heat up again. Once it's cooked for 3 hours, brush with your glaze once about every 30-40 min. If the skin appears to be drying or cracking, spray with mixture to give it moisture.